Is your old boiler not working as efficiently as it used to? There’s no need to suffer through another frigid winter – let the experts at Clarkstown Heating & Air Conditioning help keep you warm with a new boiler installation. We’re committed to providing the absolute best customer service and expert advice to the people of Rockland County, NY, and we want to help you with your new boiler installation needs as well. When you choose us to help, you’re choosing a company with more than 30 years of experience in the home comfort field. We know how to help you find the right new boiler for your home and your lifestyle, and we’ll install it expertly, efficiently and with the needs of you and your family in mind. Our technicians are trained in all aspects of boiler installation, maintenance and repair. They’ll provide professional new boiler installation in your Rockland County, NY home using only the best boiler systems manufactured by quality brands like Carrier® and Triangle Tube®. You’ll be able to rely on your new boiler for years to come, and enjoy advanced home comfort as well. And, because our boilers are specially manufactured to be as energy efficient as possible, you’ll enjoy improved home comfort – and lower utility bills – now and for years to come. Let the expert technicians at Clarkstown Heating & Air Conditioning help you find the perfect boiler system for your home and lifestyle. 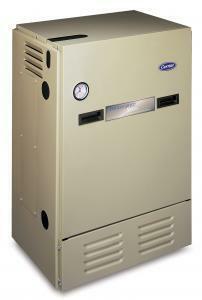 Why Choose Clarkstown for New Boiler Installations? 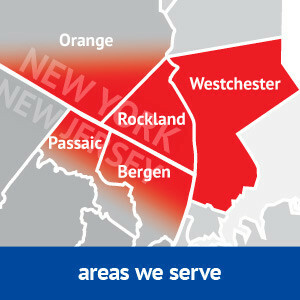 Count on the experts at Clarkstown for new boiler installation and more in your Rockland County, NY home. At Clarkstown, we feel that the reason we have enjoyed success for more than three decades is because of our honesty and integrity. It’s our promise to you that we’ll always explain everything up front, so you receive the best service, information and value available. Our expert technicians will provide the new boiler installation in your Rockland County, NY home in a punctual, courteous and respectful fashion. We work hard to provide you with the best boiler products and services on the market today. Don’t struggle through another chilly winter with an old, inefficient boiler – choose a new boiler installation for your Rockland County, NY home from Clarkstown Heating & Air Conditioning. We’ll help you get a quiet, energy efficient, attractive boiler system to meet your home comfort needs. Simply call us at (845) 620-1000 today and we’ll be more than happy to assist you.